Age of Body: 26 homeworld years. Length of Stay on Earthsong: Unknown. Soulstone Power: Power over Air. 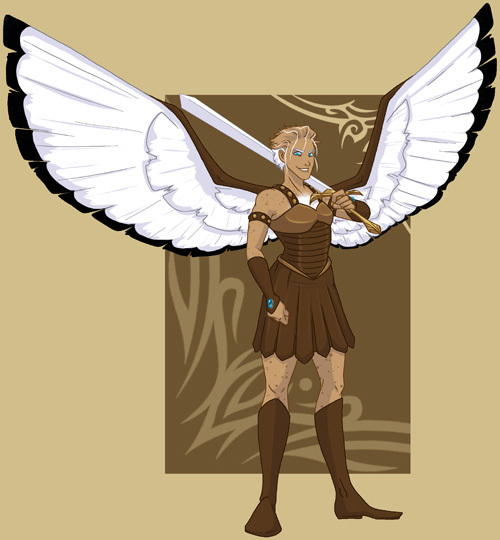 Related Earth Myth: Valkyries, Harpies, Angels. Remnant: Watching her brother die in battle. Theme Song: Ghost of You, My Chemical Romance. Description: While Skogul's temper and beserker nature can get the best of her, she is a devoted matriarch and feels a great sense of responsibility to those in her charge. Her grudge against Nanashi goes back ages and there are none left that know it's specific catalyst.